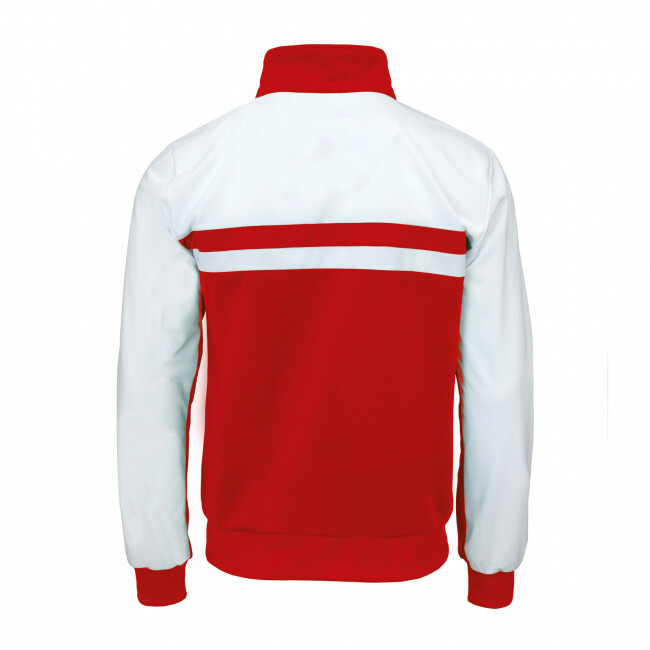 Unisex full-zip jacket (for kids). Two-colour linear inlaids that stand out and give the garment a vintage flair. 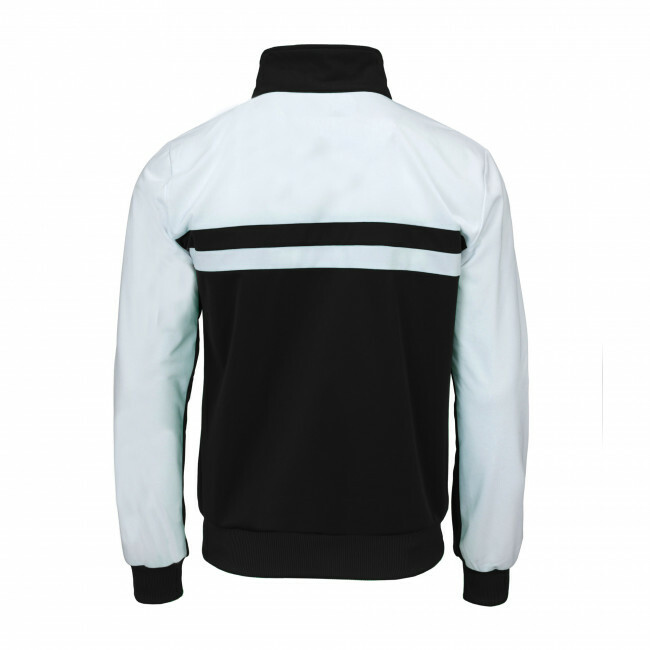 Contrasting collar and zipper. Ribbed sleeve cuffs and waistband. Available in a variety of colours. Welt pockets. 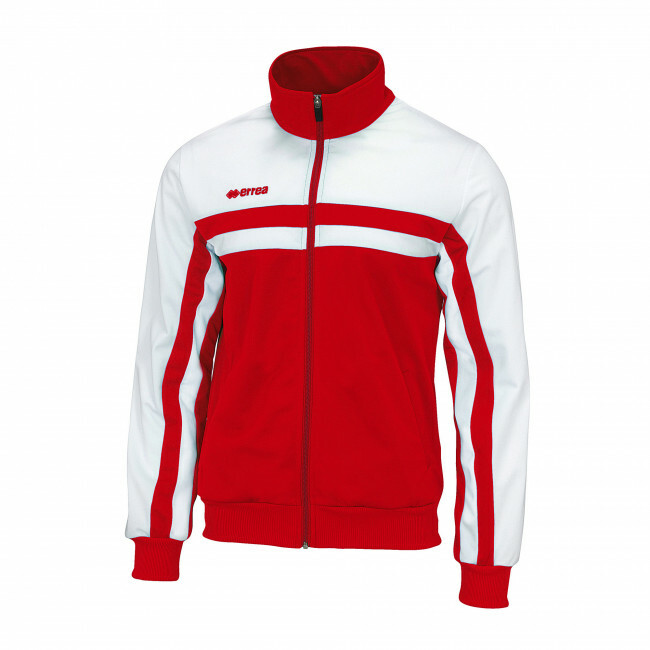 Santorini by Erreà, a classical tracksuit jacket for kids gives you a sporty look characterised by comfort. Are you feeling nostalgic about the 80s'? This Erreà sweatshirt will take you back in time, with a perfect mix of classical design and extreme comfort. 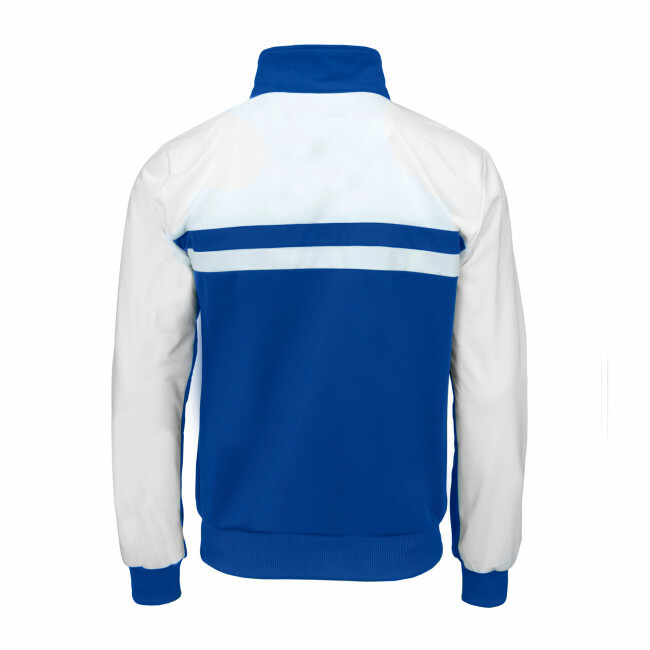 The Santorini tracksuit jacket is perfectly suitable for any physical activity, and even for your free time. The full-length zipper will allow you to wear it comfortably and to adjust ventilation based on your needs. The turtle neck will keep you warm even outdoors, and the ribbed sleeve cuffs and waistband will ensure a perfect and comfortable fit in all situations.